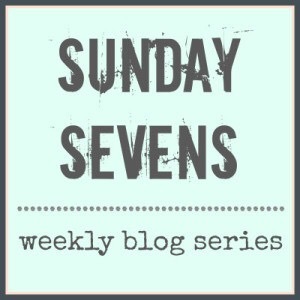 Hello and welcome to my fiftieth Sunday Sevens post of 2015! My penultimate SS post of the year is brought to you from the comfort of the start of the Christmas holidays. As with the previous posts, this Sunday Sevens rounds up my week in seven photos, as a way of documenting and sharing the highlights of my week. Nat will give you all the details should you wish to join in in the new year. 1. Often I’ll buy Christmas presents for next year’s class in the Christmas sales, but last year there was slim pickings. 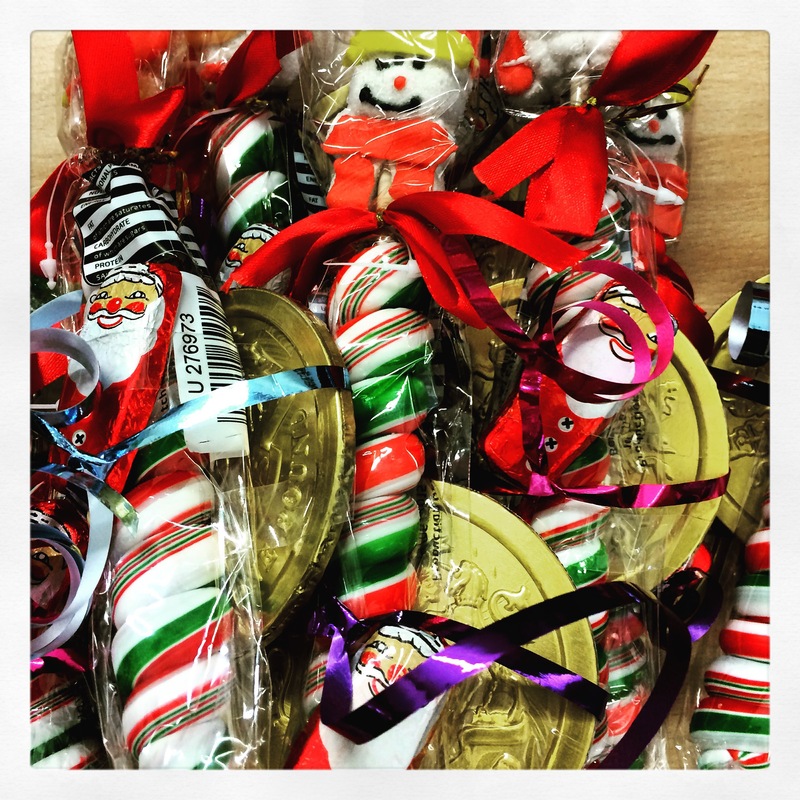 Instead I bought these candy cane type lollipops, giant chocolate coins and foil-wrapped Santas. With sellotape and a little ribbon we made a small gift for each child to take home on the last day. 2. 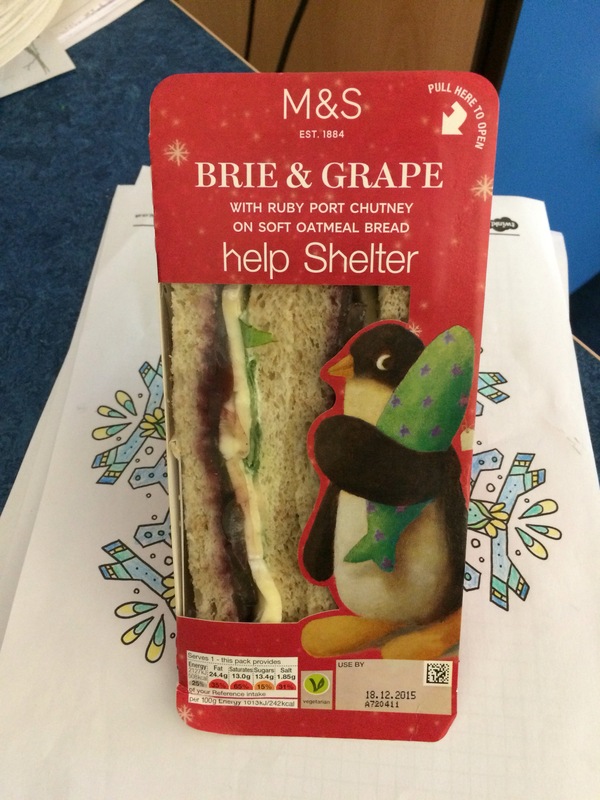 Making or taking anything to work for lunch simply hasn’t happened this week, and I was extra pleased to purchase this from M&S – probably the only Christmas sandwich I’ve come across that doesn’t contain turkey! 3. I’m still optimistically collecting items to make Christmas presents. Or maybe Easter or birthday presents is more likely at this stage. Either way, I stocked up on some fairly festive ricrac. 4. 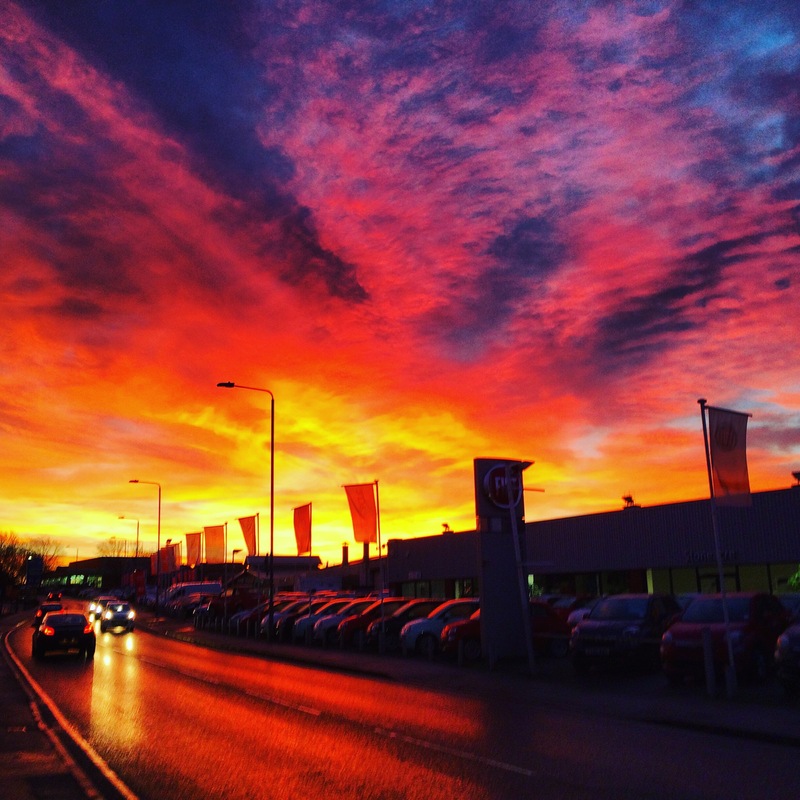 Ok, so a little instagramming has taken place, but still – how gorgeous is this sunrise? Taken on my way to work on the last day of term. 5. 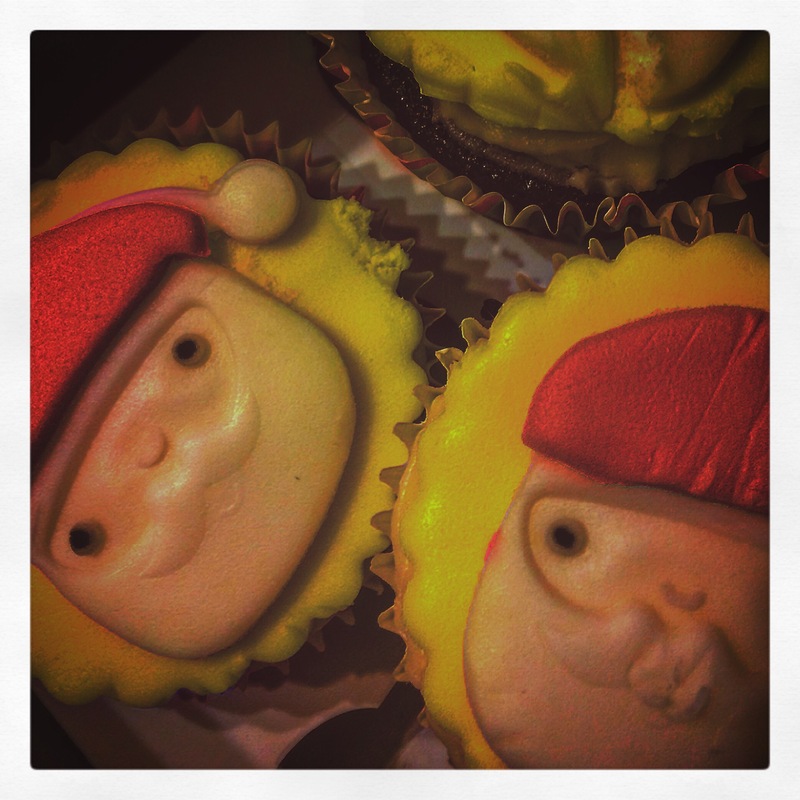 I was given some very thoughtful and much appreciated gifts from some of my class, including these amazing cupcakes. Underneath, the cakes are chocolate sponge with some kind of cream cheese frosting – delicious. 6. 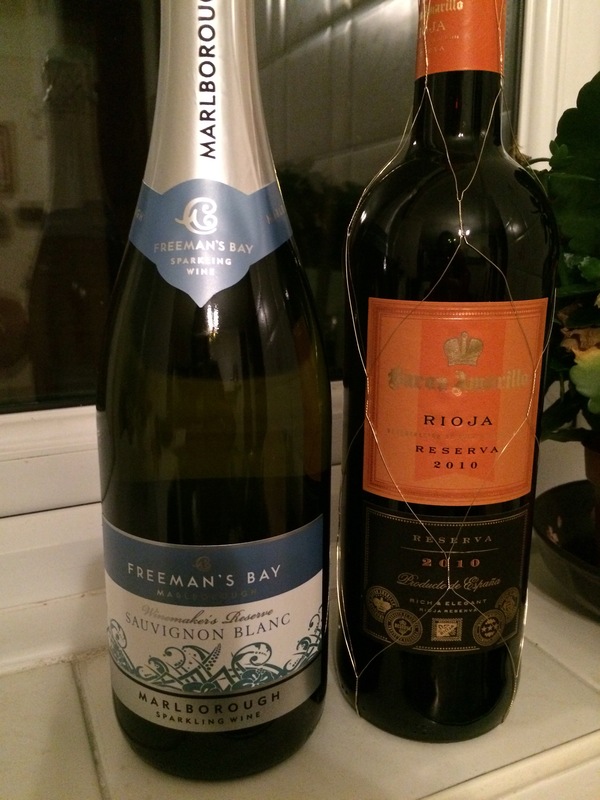 The next instalment of my Aldi Wine club membership arrived! Cheers! 7. 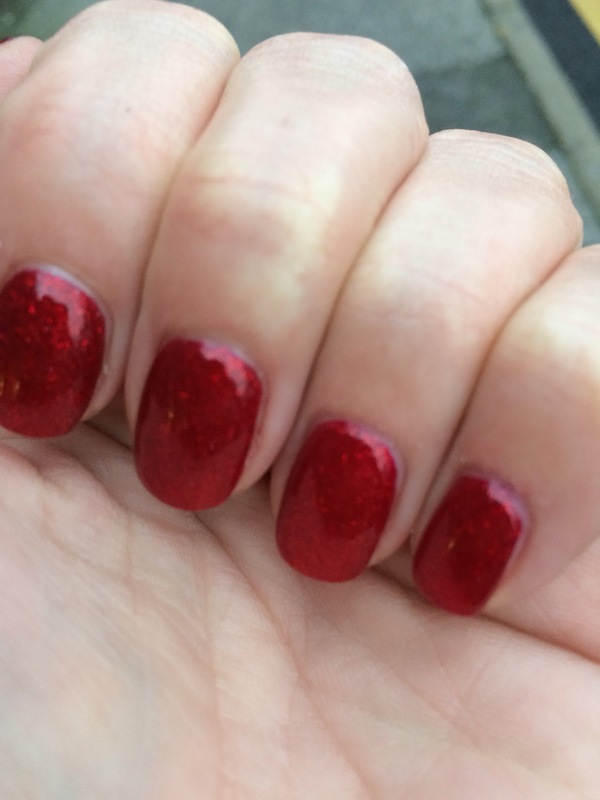 Christmas nails As you can see, a fairly festive week all in all. I’ve also begun thinking about my spring topic, Japan, which I am actually excited about planning. For now, though, school is on hold for a bit whilst I get prepared for Christmas. Late last night I sat and made a list of everything which I found did alleviate the number of things whirling around my mind. Today I made a start on at least being ready to tackle the list by cleanings some of the house and catching up on washing and ironing. Due to bathroom related upheaval at home I still don’t have a Christmas tree, nor any decorations up which feels very odd. I also still have a good few Christmas films I want to watch in the next week. Are you ready for Christmas? Is it just me who is ridiculously disorganised this year? I think I’m prepared every year and then it’s always a last minute rush! I’m also still making gifts for Christmas. I gave my students Christmas decoration sewing kits which should keep them busy until classes start again in January. I’m a die-hard Rioja drinker so that Reserva would go down very well in this house. Lovin’ the festive nails! That sunset is truly lovely! And I quite fancy your sandwich right now!! 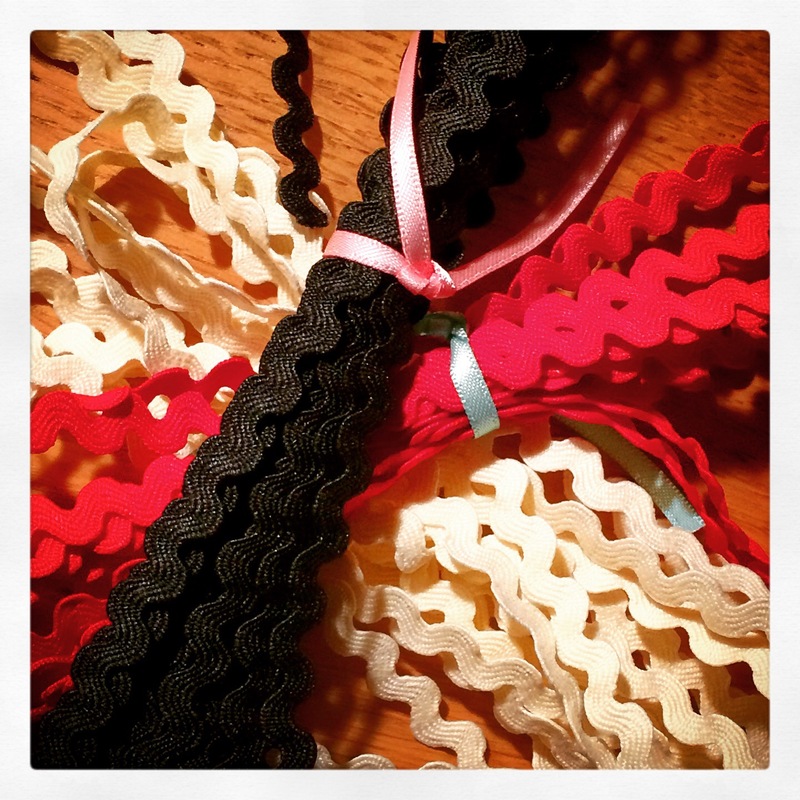 This Christmas, for me, is the same as usual, but I am really looking forward to anything sewing related that I can pick up in the sales! I’m glad I helped to motivate you – did writing the list help? I think you are getting organised! Wine, buns & christmas nails…what more could you need?! Do you have any plans for the ricrac yet? I was inspired to get the ricrac for a mug rug type project but not sure I’ll be making any more of them before Christmas. You’re right, wine, buns + nails are definitely all ingredients for a promising run up to Christmas!